Here is the Aran Sweater I been working on I finished it last night. I had started I think just after Christmas & was doing well but dropped it as DH needed some socks then having a bout of Vertigo also stopped me working on it so last Sunday I picked it up again I had the front started & about half may be a little less done so this week I managed to get the rest of the front done plus sleeves & put it all together. It's beautiful! You do such wonderful work. Beauitful! When I visited Ireland last year I wanted to buy an Aran sweater until I discovered the boxes they came in were from China. How disappointing. So I am trying to figure a pattern to knit my own, but so far, not much luck. 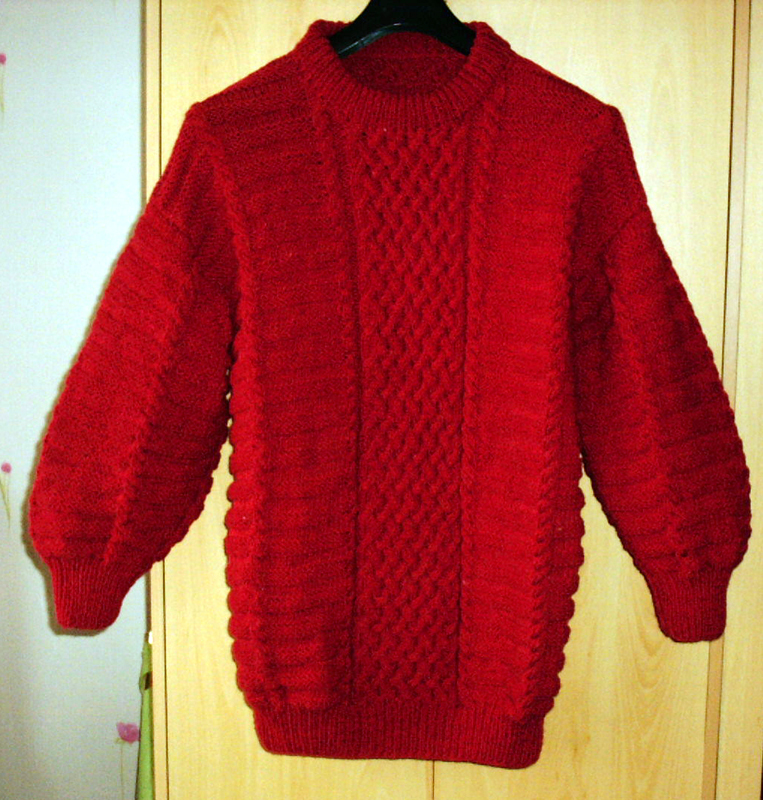 i have only made three sweaters before and it was a while ago. i wish you were next door when I get stuck.